With over 370 exhibitors, this year’s Pumps & Valves at the Antwerp Expo Centre was another record edition. The international importance of the pumps, valves, pipes and fittings event was emphasized by the presence of exhibitors from 30 different countries. More than 5,100 visitors from the cosmetics, food, chemicals and pharmaceutical industries attended, in order to optimize their industrial processing needs. Pumps & Valves, a combined exhibition with the Maintenance 2016 trade show, proved a huge success. 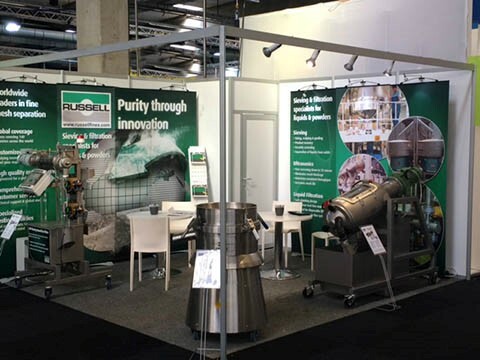 Russell Finex presented a range of sieving and filtration equipment for the industrial processing industry and received a lot of attention during the two-day exhibition. Easyfairs, the organisation behind Pumps & Valves, also offered many additional events during the show. Visitors and exhibitors could partake in different masterclasses, award presentations and tours. To highlight the quality of its range of products and innovations, Russell Finex contributed to the Demo Route, an area of live machine demonstrations on the exhibition floor. 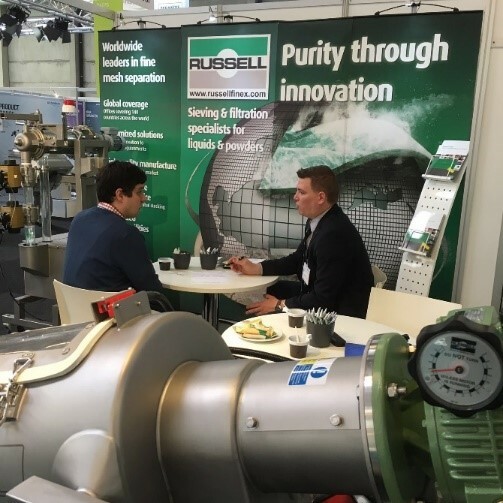 Visitors had the chance to discover and explore the Russell Liquid Solid Separator™ and the Self-Cleaning Russell Eco Filter® in live action and digest their impressive performance facts and figures with the assistance of experienced sales engineers. Visitors were also able to gather information about the displayed Finex 22™. Russell Finex will be an exhibitor at Pumps and Valves 2018 which will take place on 21 & 22 March at Antwerp Expo, Belgium. Contact Russell Finex if you have any queries or need more information about its range of industrial filtration equipment.